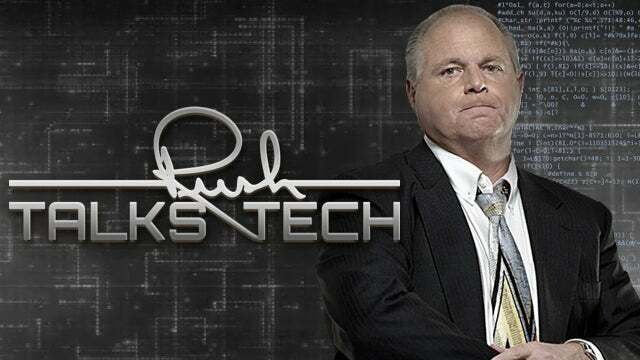 RUSH: Hey, by the way, folks, you remember last week I told you that Apple had fixed the problem, both of my watches losing charge while charging. Something was happening that was opening the CPU wide open, it was just running at full bore, and it was using more power than the charger could replace, it was losing charge, and they also said that the LTE modems were out of control. So guess what? He-he-he-he. Last night both watches started losing charge on the charger again. Now, they fixed it in their release version, watchOS 5.2, and then they issued a beta the next day 5.2.1. I have one of my watches running the beta, one running the release version. The watch running the beta loses charge slower and, in fact, started gaining charge today so I may have to put the beta on the second. But you would not — for those of you that have watches, and just to show you how crazy this is, after they released the fix — and it did fix it for five days — last night I was playing around with both of the phones. I have two phones. Well, two phones and two watches. And I decided to change the text size, the dynamic text size from the default to one size larger. And it was after doing that on the phones — now, the watches are paired and in many ways they mirror, the phone dictates what happens with the watch in a lot of ways. So I raised the text size, dynamic text size in the settings one setting, and that’s when the watches started losing charge on the charger. So I came in here today, and I was talking about this with a tech, and I said the only change I made is the text size. They said take it back to normal, see what happens. So I got in here today and I reduced the dynamic text size in the settings back to the default. And they both started gaining charge on the charger! So I’m saying to myself, how in the world does text size have anything to do with it? But I kept testing it and finally both watches again started losing — well, one of them started losing charge even after going back to the default text. This stuff is so intricately complicated that I don’t know how they’re ever gonna fix it. I’ve gotten myself resigned to the fact that I’m gonna have to turn my watches off every time I want to charge ’em. I don’t know that I’m ever gonna be able to confidently put a watch on a charger without watching it like a hawk to see if it’s gaining or losing charge. I’m not complaining. I love these products. Don’t misunderstand. I’m just sharing this stuff ’cause I know some of you in this audience are tech savvy. I’m not seeking ideas. I’m not seeking solutions, any of that. This is obviously a deep, deep, deep software fix that none of us are ever gonna be capable of probably even diagnosing.